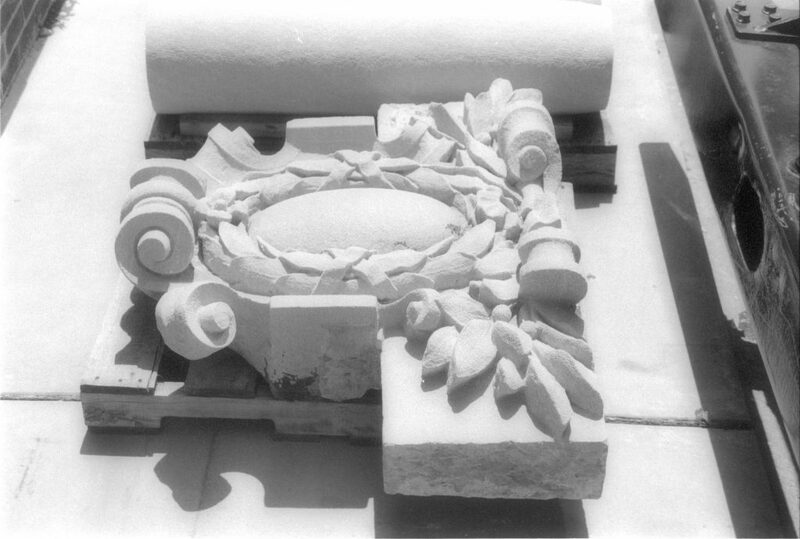 Carved Indiana limestone crest from parapet. Height: 36 inches, width: 48 inches, depth: 12 inches, ground panel depth: 5 inches. Includes two flanking parapet panels, Indiana limestone. Height: 15½ inches, width: 42 inches, overall depth: 6 inches, ground panel depth: 3 inches.